Not sure what to by the model railroader in your life? 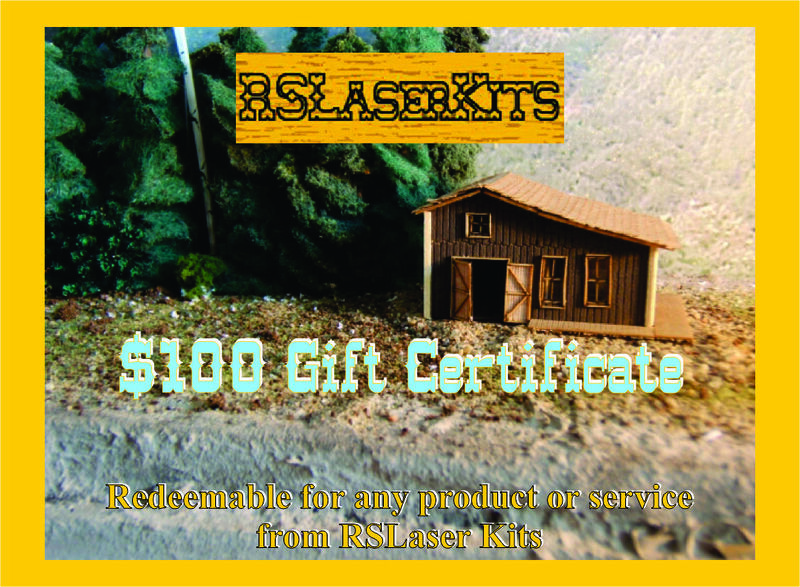 Get them an RSLaser Gift Certificate and let then choose from our over 500 items available in seven scales. Gift Certificates can also be used for Custom Orders.